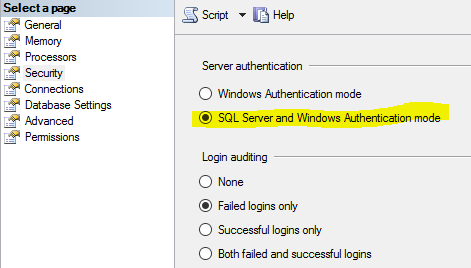 In my SQL server I have a Login account ‘sa’ with ‘SQL Server Authentication’. 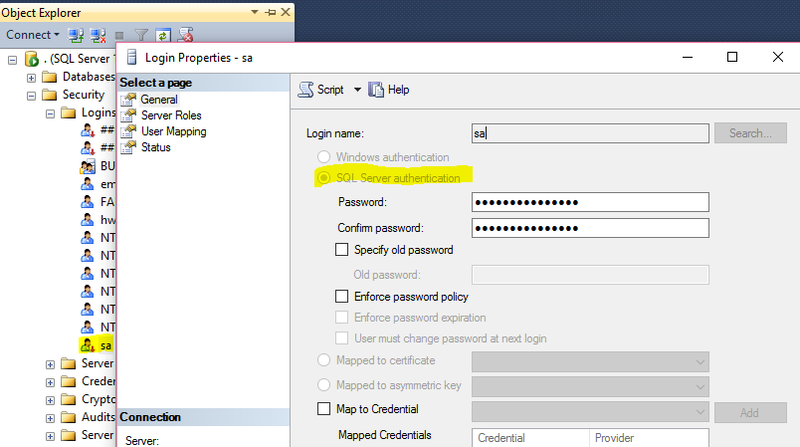 Even though all the properties provided properly, I was unable to login with below login exception. 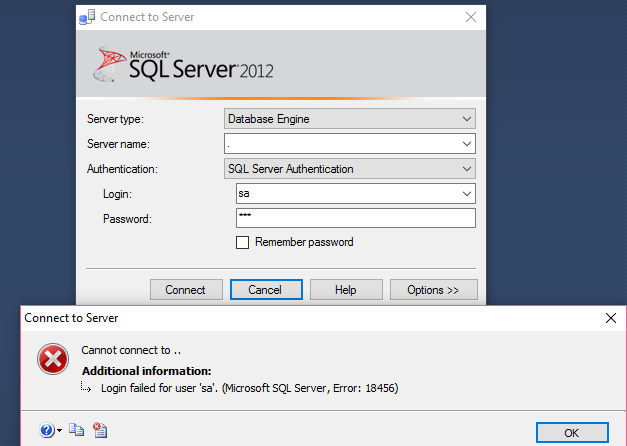 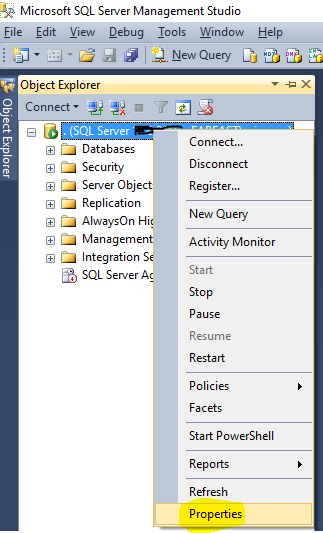 Restart the SQL Services if you change. 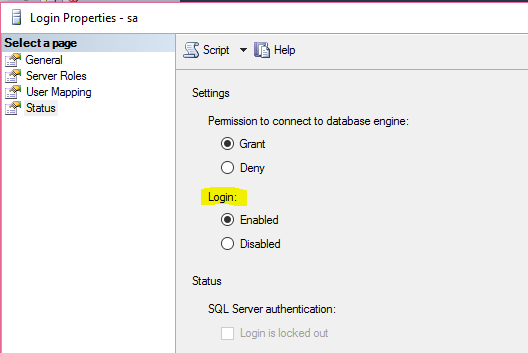 Open the ‘sa’ account by double click.